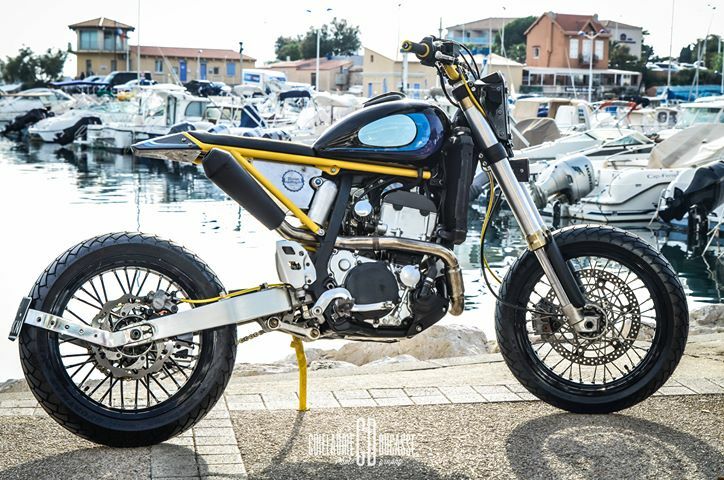 Today we are featuring Scrambler bike build by Taverne Motorcycle, France. This is DRZ 400 TM. 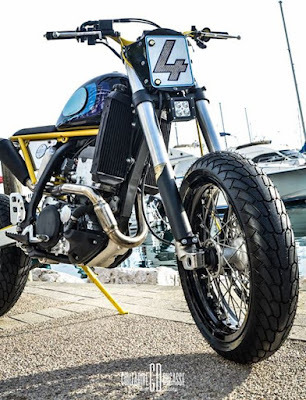 They took 2 months to build this bike. 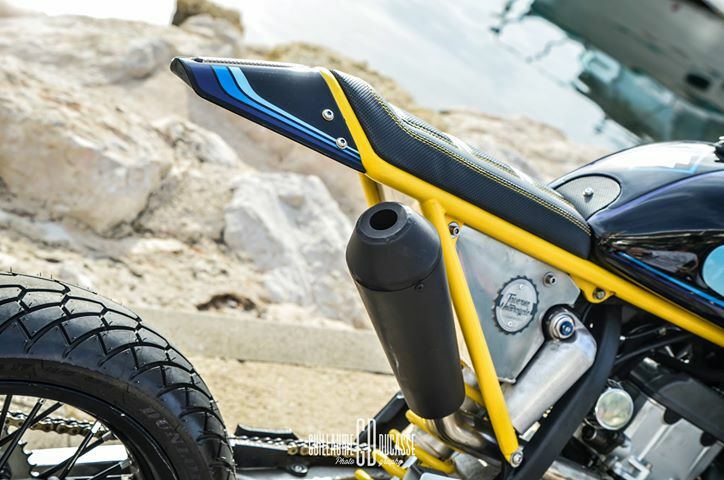 They custom build the fuel tank based on the French Motorbike design. The headlight plate is fabricated out of Aluminium. They placed LED Lights on the front plate and principal headlight under the front plate. They also used Motogadget blinker at the end of the handlebars. To give best experience the front forks are shorten by 5 cm. In the middle FMF exhaust line with modified megaton silencer is used. They used gel battery covered inside the custom build the battery box with aluminium. They completely open engine part, then worked on it and painted it. For better performance they used BMC Filter. 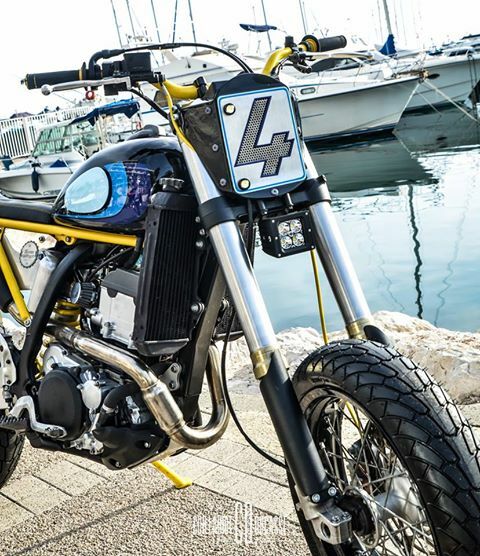 The rear frame (in Yellow) is also handbuild by them. The rear seat cowl is build with steel and the tail light is integrated with it. Red LED light is used in the rear section also. Aluminium Number plate is placed behind the rear wheel. Dunlop Mutant Tires are used on Both sides. The bike is painted in 3 types of blue to remember the colors of the older RM dirt bike.